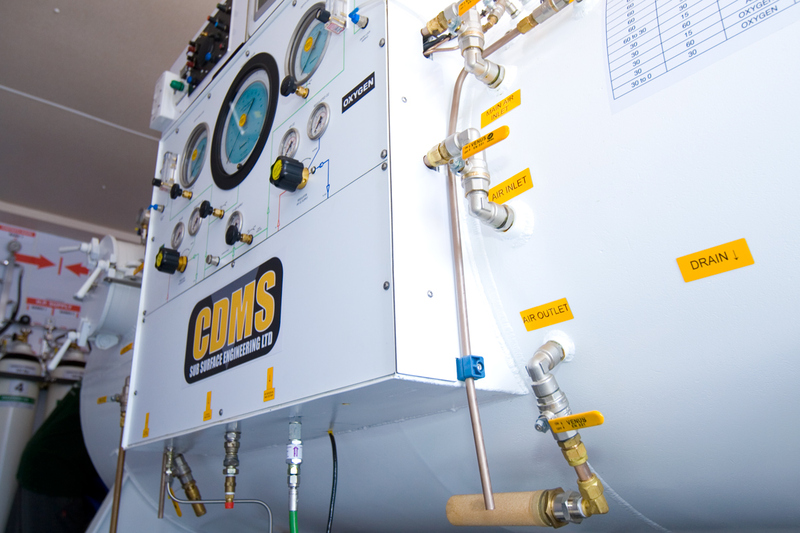 What is a Decompression Chamber? 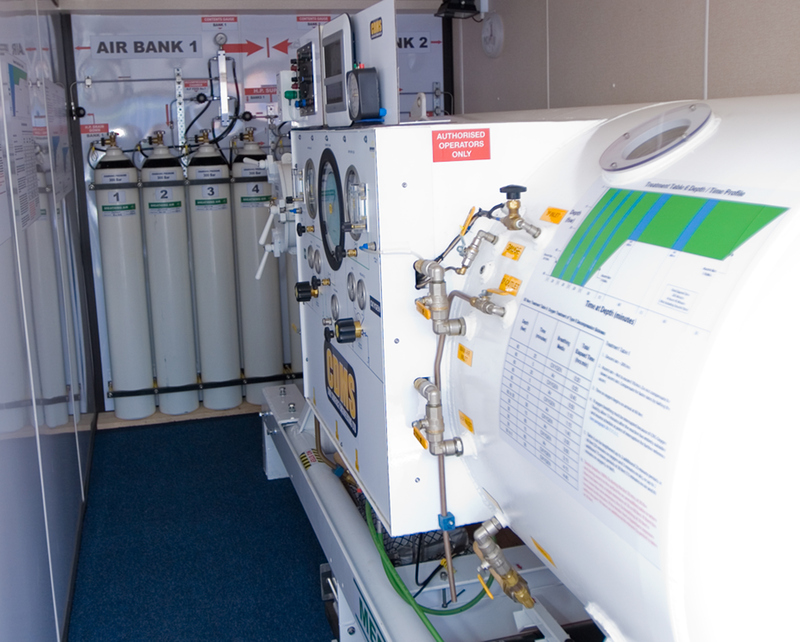 Recompression chamber, a hyperbaric chamber used to treat or prevent decompression sickness. 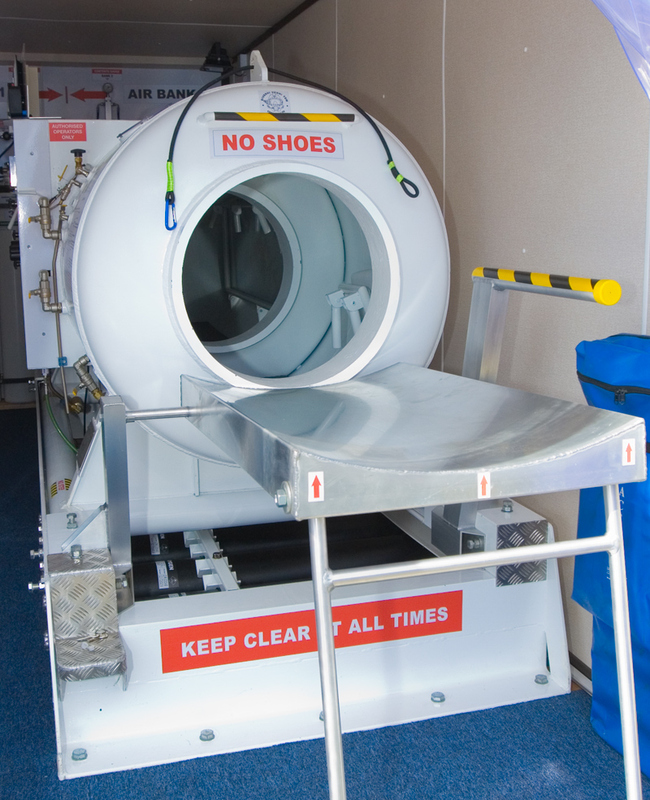 When used underwater there are two ways to prevent water flooding in when the submersible hyperbaric chamber’s hatch is opened. The hatch could open into a moon pool chamber, and then its internal pressure must first be equalised to that of the moon pool chamber. More commonly the hatch opens into an underwater airlock, in which case the main chamber’s pressure can stay constant, while it is the airlock pressure which shifts. This common design is called a lock-out chamber, and is used in submarines, submersibles, and underwater habitats as well as diving chambers. 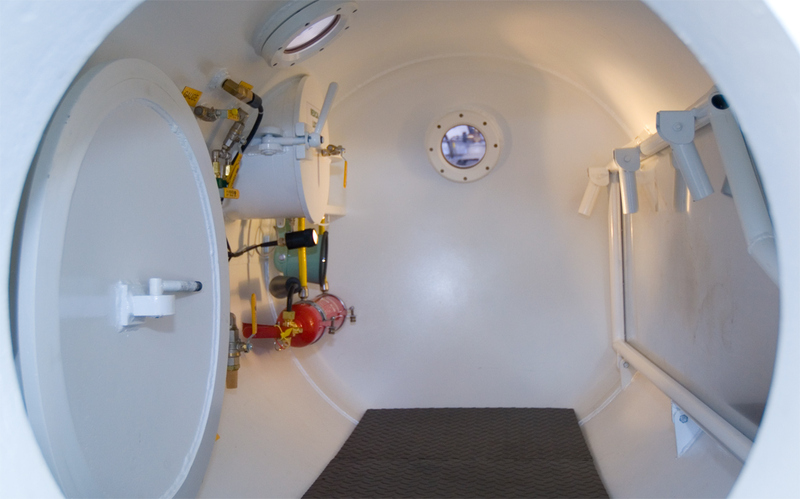 Another arrangement utilises a dry airlock between a sealable hyperbaric compartment and an open diving bell compartment (so that effectively the whole structure is a mixture of the two types of diving chamber). When used underwater all types of diving chamber are attached to a diving support vessel by a strong cable for raising and lowering and an umbilical cable delivering, at a minimum, compressed breathing gas, power, and communications, and all need weights attached or built in to overcome their buoyancy. The greatest depth reached using a cable-suspended chamber is about 1500 m; beyond this the cable becomes unmanageable. 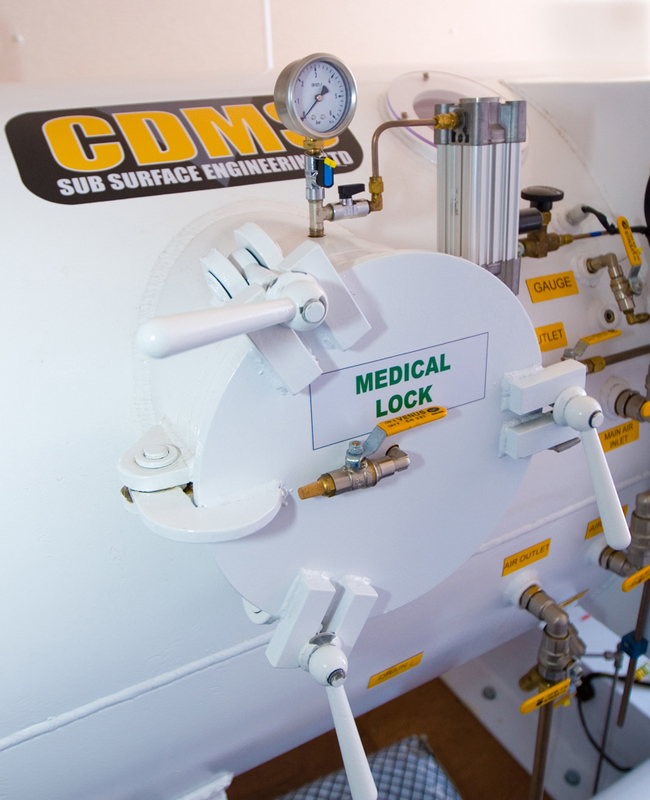 The decompression chamber is supplied with two banks of compressed air, this managed by a valve system allowing the operator complete control at all times. 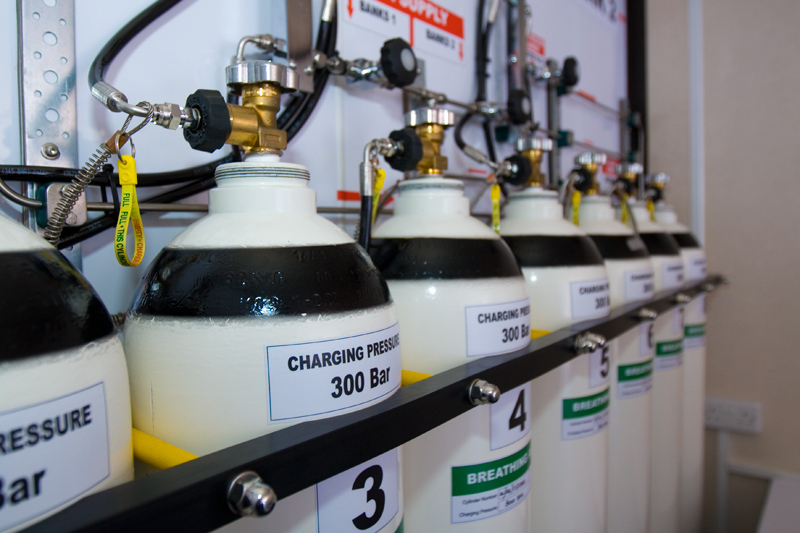 The compressed air is stored at 300 bars, at this pressure, the chamber can be operated for hours at a time when required. For the ease of entry and egress from the decompression chamber, a chute is utilised. 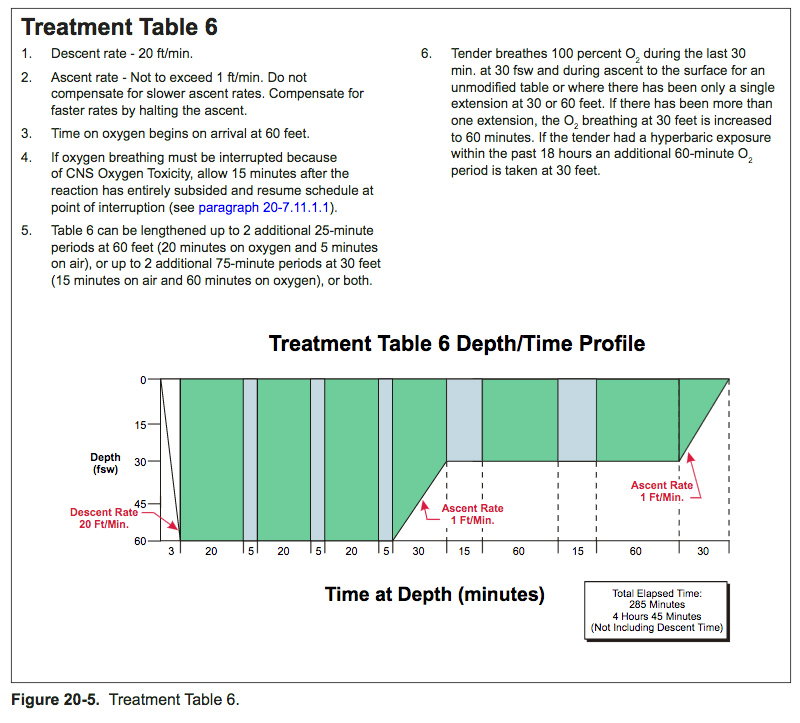 The method is particularly useful if the diver in need of treatment is unconscious at the time of entering the chamber. The interior of the chamber has enough room for a diver and tender. 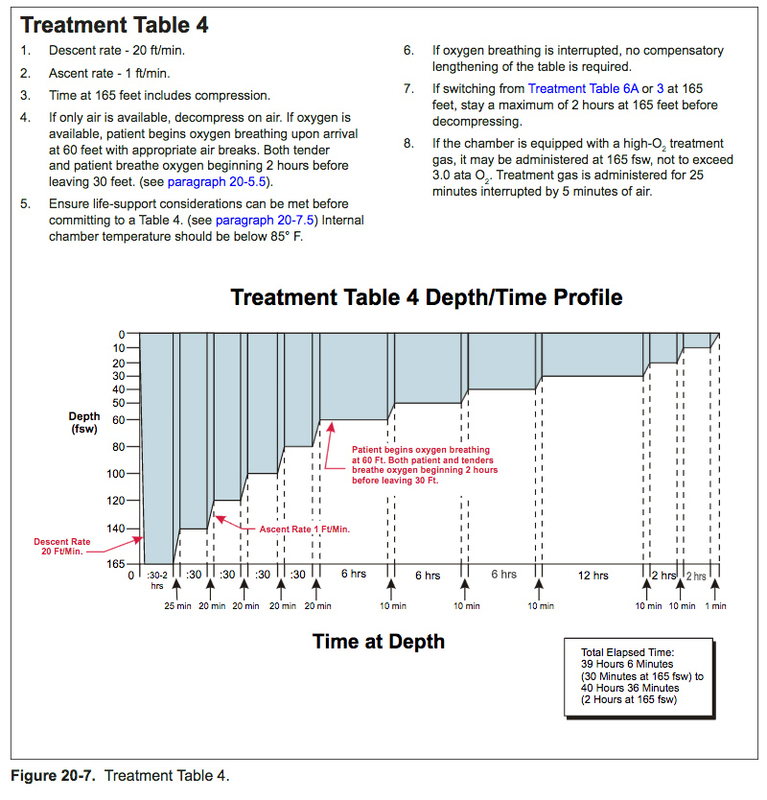 The tender is present to assist the chamber operator with the recompression process and general care of the patient from within the chamber itself. 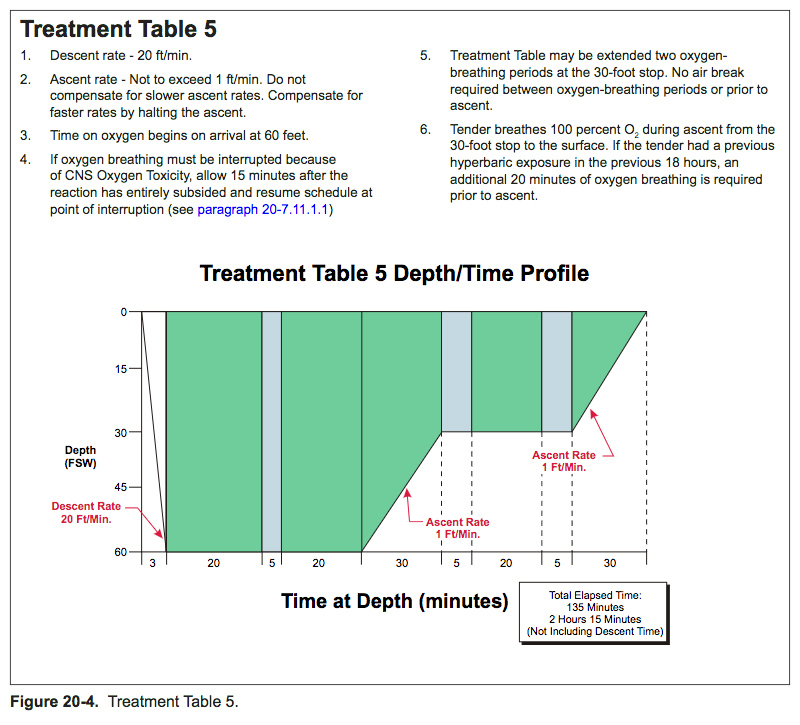 The secondary gas supply to the decompression chamber is oxygen which is managed by the chamber operator to remove the harmful nitrogen gas the patient (diver) as accumulated during his exposure at depth. 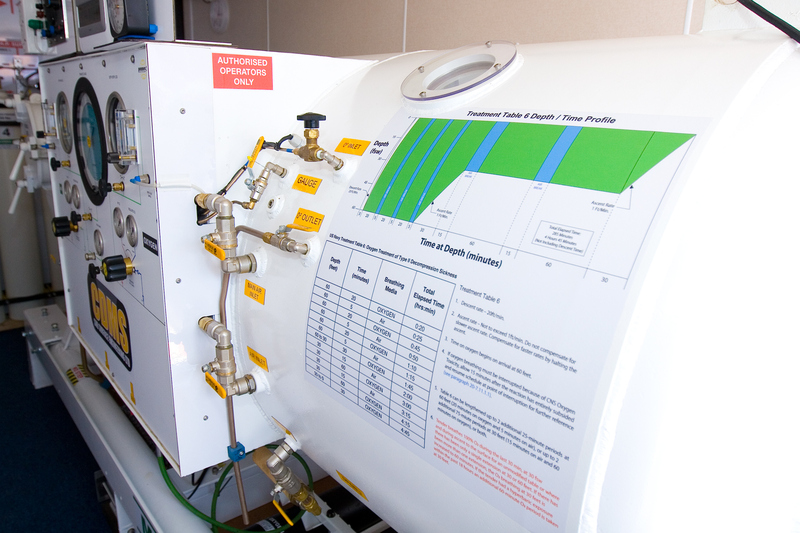 The panel allows the operator to control the amount of air and oxygen to be used in the treatment process. 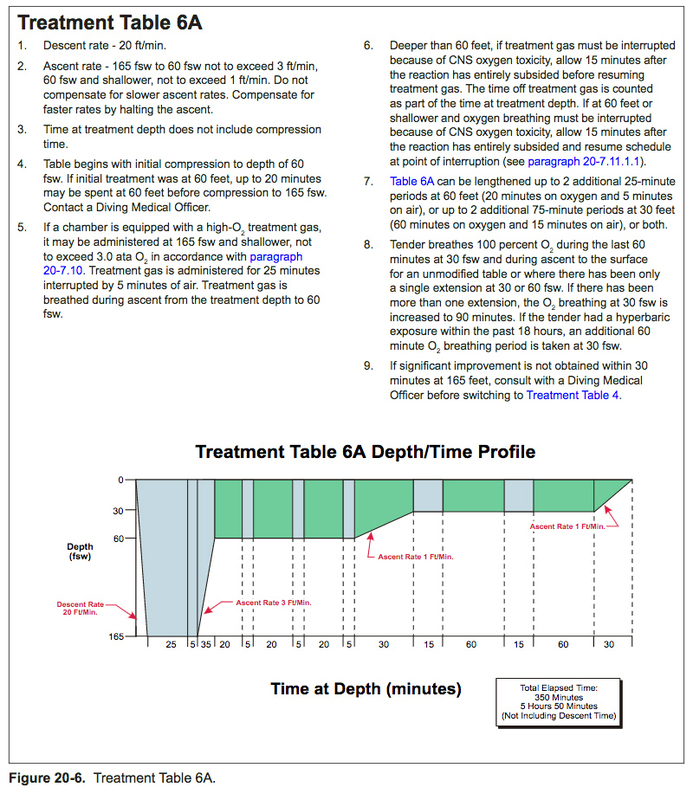 The chamber operator follows a set guide known as a Decompression Table. These tables are set out to safely compress and decompress a patient to a given depth and then return them back to the surface. This is the only way to treat decompression sickness. 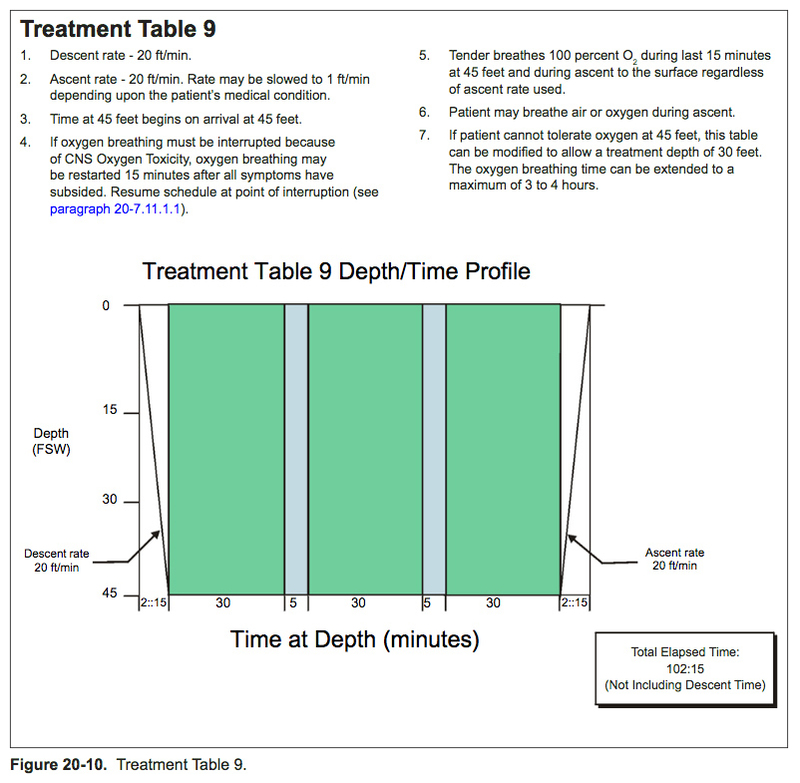 The practice of decompression by divers comprises the planning and monitoring of the profile indicated by the algorithms or tables of the chosen decompression model, to allow asymptomatic and harmless release of excess inert gases dissolved in the tissues as a result of breathing at ambient pressures greater than surface atmospheric pressure. 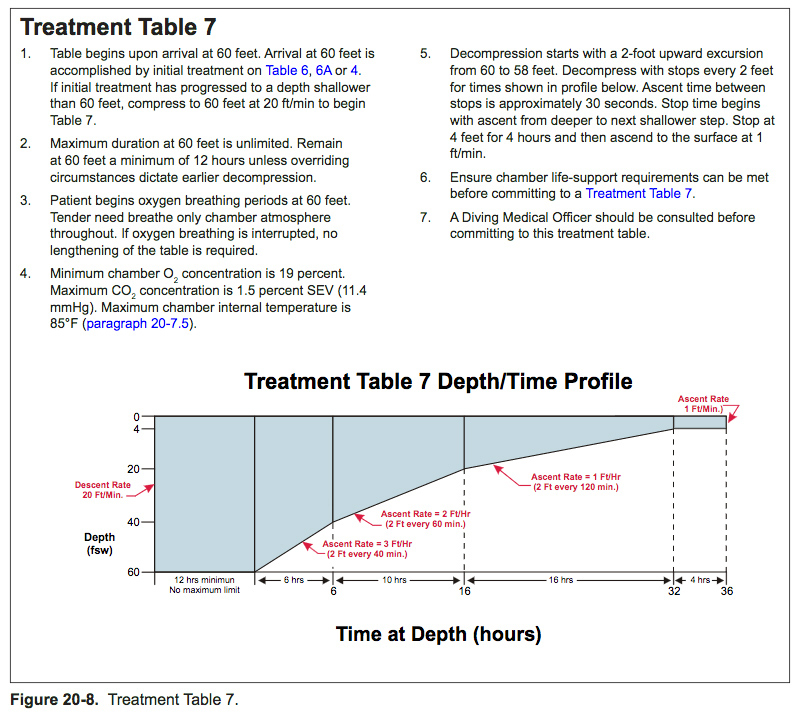 Treatment Table 8 Total ascent time from 225-fsw is 56 hours, 29 minutes. 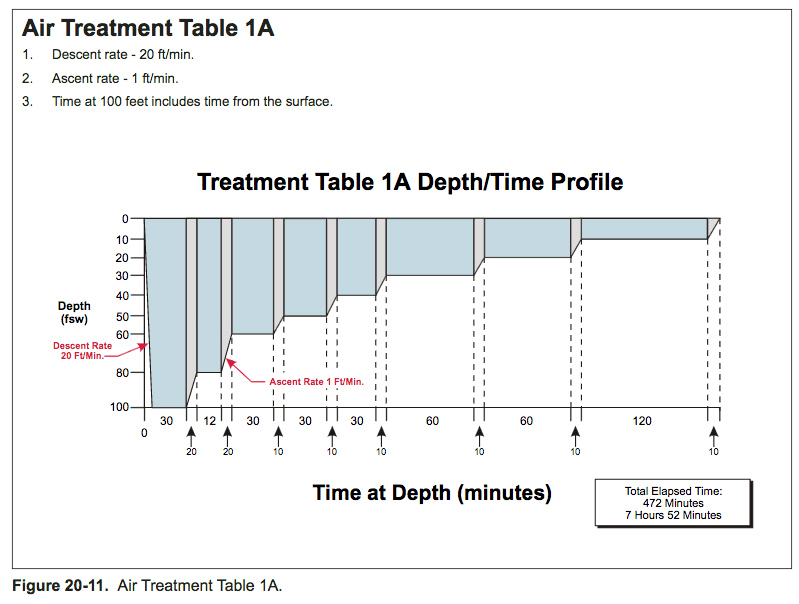 For a 165-fsw recompression, total ascent time is 53hours, 52 minutes. For a 60-fsw recompression, 36hours, 0 minutes. 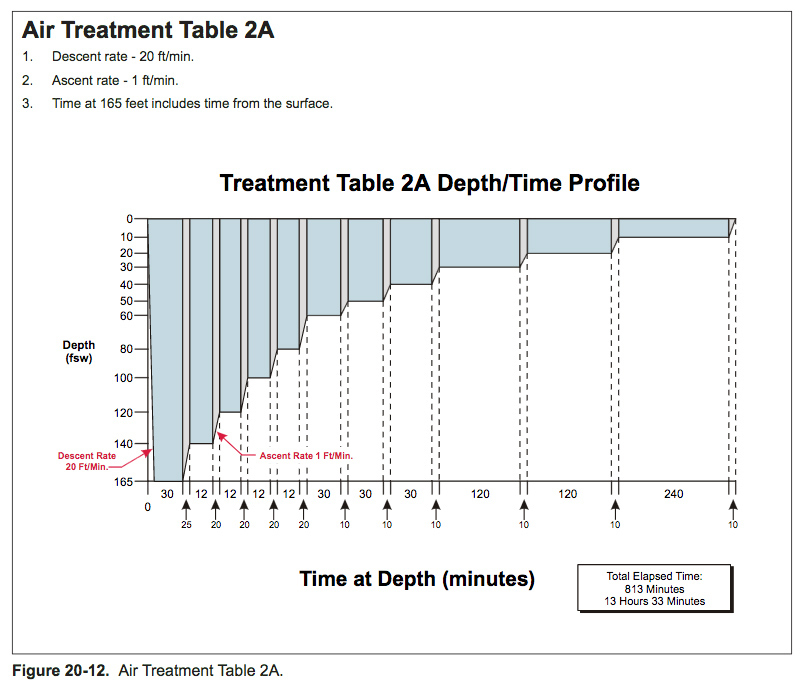 When a diver descends in the water column the ambient pressure rises. 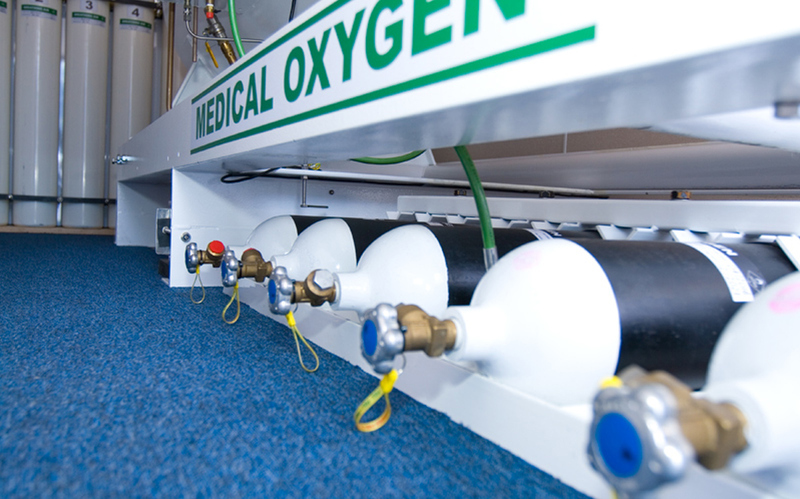 Breathing gas is supplied at the same pressure as the surrounding water, and some of this gas dissolves into the diver’s blood and other tissues. 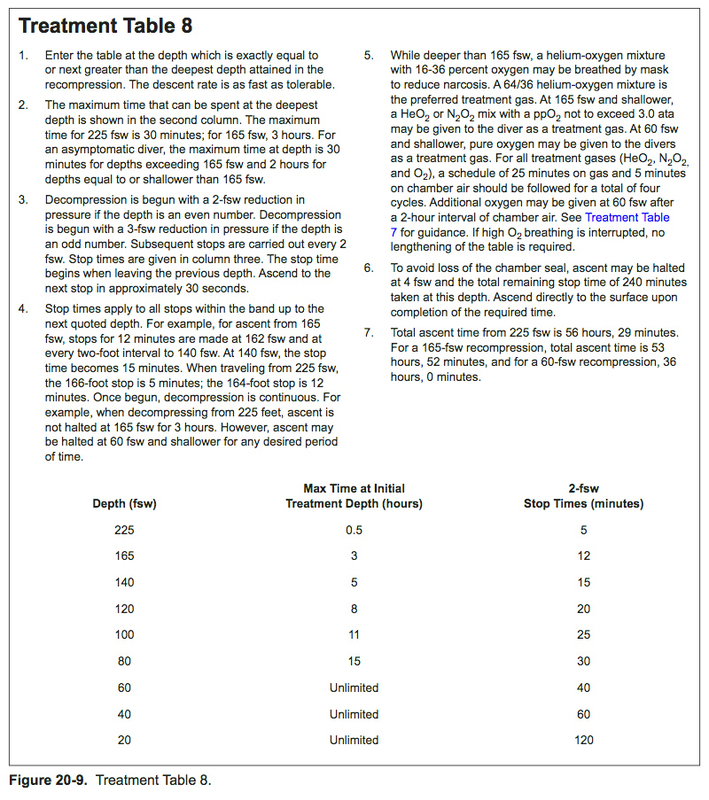 Inert gas continues to be taken up until the gas dissolved in the diver is in a state of equilibrium with the breathing gas in the diver’s lungs, (see: “Saturation diving“), or the diver moves up in the water column and reduces the ambient pressure of the breathing gas until the inert gases dissolved in the tissues are at a higher concentration than the equilibrium state, and start diffusing out again. 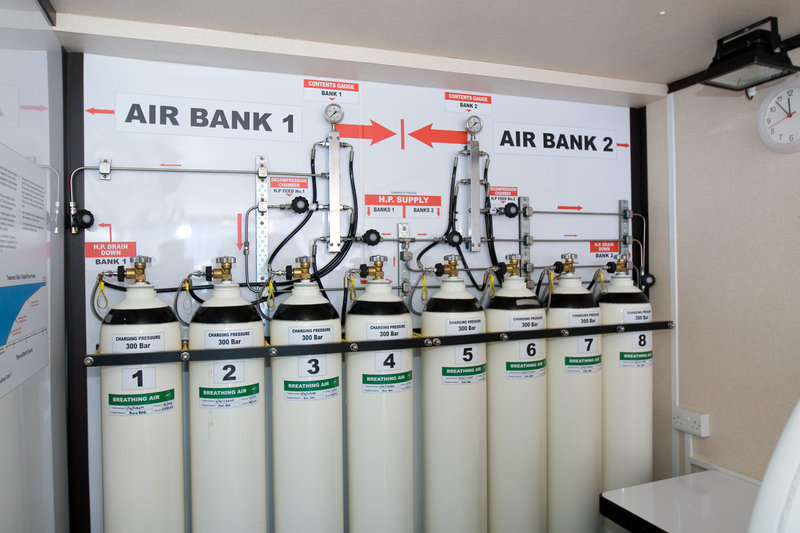 Dissolved inert gases such as nitrogen or helium can form bubbles in the blood and tissues of the diver if the partial pressures of the dissolved gases in the diver gets too high when compared to the ambient pressure. These bubbles, and products of injury caused by the bubbles, can cause damage to tissues known as decompression sickness or the bends. The immediate goal of controlled decompression is to avoid development of symptoms of bubble formation in the tissues of the diver, and the long-term goal is to also avoid complications due to sub-clinical decompression injury. 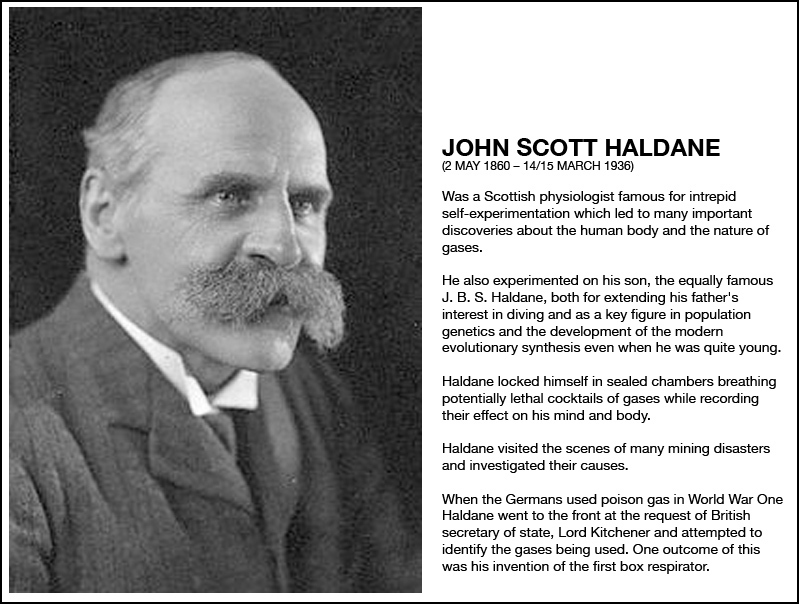 Haldane’s hypothesis was that a diver could ascend immediately to a depth where the supersaturation reaches but does not exceed the critical supersaturation level, at which depth the pressure gradient for off-gassing is maximized and the decompression is most efficient. 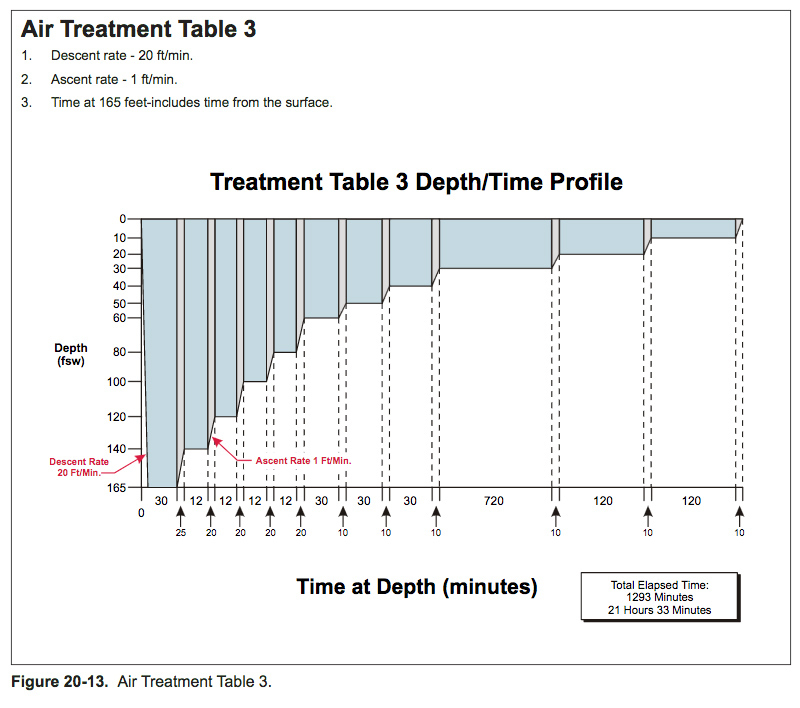 The diver would remain at this depth until saturation had reduced sufficiently for him to ascend another 10 feet, to the new depth of critical supersaturation, where the process would be repeated until it was safe for the diver to reach the surface. 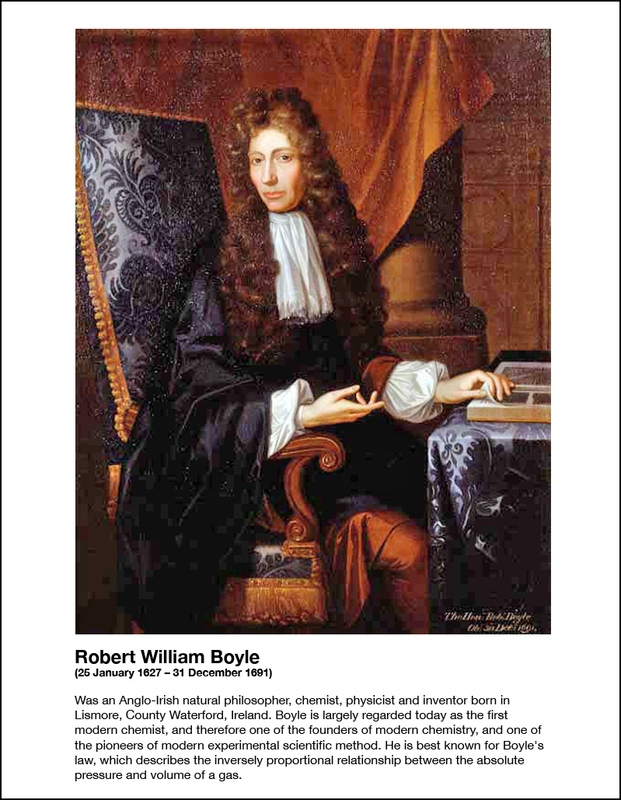 Haldane assumed a constant critical ratio of dissolved nitrogen pressure to ambient pressure which was invariant with depth.